Court life for Prince Gareth Elhalyn, grandson of the legendary Regis Hastur, has become unbearable. In a desperate attempt to escape, Gareth appeals to his powerful grandmother, Linnea, and with her blessing, disguises himself and travels to the barbarous, warlike Dry Towns where no one will recognize a prince. In the Dry Towns, Gareth overhears rumors of deadly, illegal Terran blasters and stumbles upon a terrible reality no one could have suspected. Meanwhile, Linnea has never ceased to search for her lost daughter, Kierestelli, whom she and Regis were forced to send into hiding with the native chieri. Almost by chance, Linnea reconnects along the telepathic relays with Kierestelli, now called Silvana of Nevarsin Tower. Silvana, convinced that her parents abandoned her, rejects her mother’s overture and returns to her hidden home among the chieri. But the chieri once roamed the stars themselves, and they have no forgotten the terror of warfare in space—lessons that they pass on to Silvana. Marion Zimmer Bradley is among the most famous, highly respected, and bestselling fantasy authors in our genre. The Avalon books and the Darkover novels are considered by many to be her finest achievements. 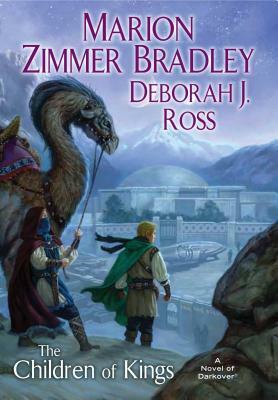 Deborah J. Ross is the author of the Seven-Petaled Shield series, and a protégé and long-time friend of Bradley.